Guru Nanak is the founder of Sikhism and the first of the Sikh Gurus. He was born in Punjab India (modern day Pakistan) and gave spiritual teachings based on the universal divinity of creation. He taught his followers to concentrate on spiritual practices which would enable them to transform their egotism into selflessness. Nanak was born in Nankana Sahib near Lahore in Modern day Pakistan. His father was the local tax collector for the village. There are many accounts which tell of Nanak’s early spiritual awakening. He was said to be a precocious child with particular insights into religious teachings and philosophy. He would spend time alone in meditation and was fascinated by religious rituals. His family were Hindu, but he studied both Hinduism and Islam extensively. Although he had a deep interest in religion, he also had a rebellious streak, not always accepting religious dogma. For example, at the age of eleven, boys of his age are supposed to wear a sacred thread of caste. But, Nanak refused to wear the thread, arguing that caste should not be used as a means of judging a person. 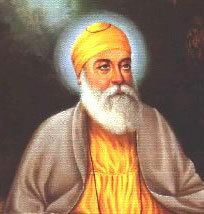 Nanak would often debate with religious pundits about the nature of God and true religious practice. The Janamshakhi’s were written by Bhai Mani Singh. In 1487, aged 18 he married Mata Sulakkhani in the town of Batala; they had two sons Sri Chand and Lakhmi Chand. Initially, he followed his father’s footsteps and became an accountant. But, his heart was not in a worldly life, and he was more interested in spending time in meditation and selfless service to the divine within each human being. His inner spiritual experiences encouraged him to focus more on his spiritual life and spiritual ideals. Nanak was close to his sister Bibi Nanaki, and when she married, the young Nanak moved to Sultanpur. Nanak was also encouraged by a local landlord Rai Bular Bhatti who was impressed with the unique qualities and gifts of the young aspirant. Although there are many stories telling of the divine potentialities of the young Nanak, his main teachings and realisation are said to have begun when he reached the age of 30, around 1499. For three days, Nanak disappeared, leaving his clothes by the bank of a stream called Kali Bein. When he returned, he remained silent for a while before pronouncing he had received a vision of God’s court and had returned to lead people to this divine amrita (nectar). Nanak taught that God was beyond religious dogma and external definition. He said he would follow neither the Muslim or Hindu religion, but just God’s path. He taught ‘there is no Muslim, no Hindu’. This was of social significance because of the political and social conflict between Islam and Hinduism at the time. During his lifetime, Guru Nanak attracted followers from the Hindu, Muslim, and other religious traditions. Guru Nanak received many distinguished visitors, but always refused material gifts, believing that sprituality should be given freely and not dependent on financial payment. The basis of his religious teachings was the belief in a universal God, who was beyond form, but who was manifest to varying degrees in all of creation. He taught his followers three basic religious principles. Selflessness – sharing with others, and giving to those who are less fortunate. 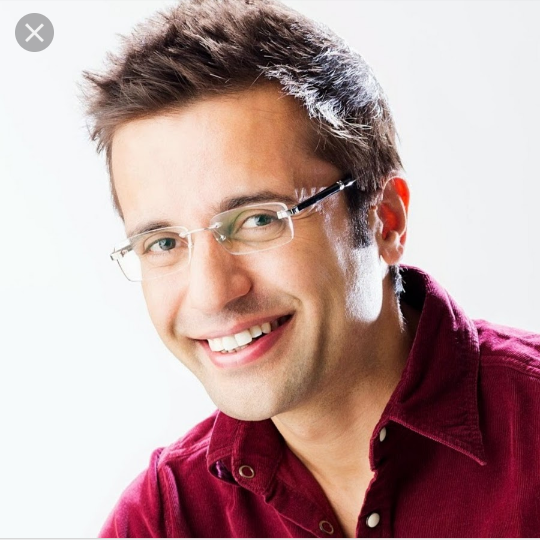 But, also a selflessness of attitude – avoiding the pitfalls of egoism, pride and jealousy.Earning an honest living – living without deceit, exploitation or fraud.Naam Japna – Meditating on God’s name and repeating a mantra. Through the repetition of God’s name, Nanak taught that a follower could free himself from selfish tendencies and cultivate happiness. However, Nanak taught it was not just enough to repeat a mantra mechanically, but with selflessness and real zeal. To avoid the pitfalls of Ego, Nanak encouraged the following of a Guru – someone who could lead the seeker to avoid ego choice. By following the teachings of someone else, it helps to cultivate a spiritual attitude of devotion and discipline. His teachings also had profound social implications. He denounced the caste system prevalent in Hinduism and taught external aides like rituals and priests were not of importance. Guru Nanak always stressed the inner spiritual awakening. After this awakening/realisation. Nanak made many prolonged journeys around the Indian sub-continent. This included visits to Sri Lanka, Tibet, all of India, and also to Baghdad and Mecca. He travelled with his Muslim companion Bhai Mardana – travelling in all four directions from his home village; it is estimated he travelled 28,000 km in five major world tours (Udasi’s) during his main mission of 1500 to 1524. During his fourth odyssey (1518-1521) Guru Nanak wished to visit Muslim shrines. He caught a boat West to Jeddah and then by foot towards Mecca. He travelled, as usual with Bhai Mardana (a Muslim) and Guru Nanak dressed in the navy-blue dress like the Hajjis. One significant story is that in Mecca, Nanak fell asleep with his feet pointing towards the holy shrine of Kaaba. This was insulting to Mohammedans, and one began berating and kicking Nanak, saying he was dishonouring the house of God. When he set off on his first journey from his village of Talwandi, his parents initially didn’t want him to go; they felt their son should provide from them in old age. However, Nanak felt he had a compelling mission to offer God’s real message to suffering humanity, and he felt this mission outweighed his personal family obligations. His fifth and last tour took place around the Punjab between 1523-1524. After this final Udasi, he travelled less, living on the banks of the Ravi River. It was in the Punjab where Sikhism would take the strongest root. In 1539, he appointed Bhai Lehna as his successor, renaming him Guru Angad – meaning ‘part of you’. This began the tradition of Guru lineage. 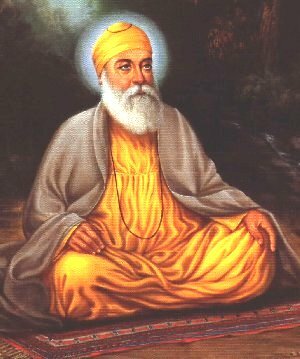 A day after appointing his successor, Nanak died on 22 September 1539 in Kartarpur, aged 70. One Indian tradition states that after Nanak’s passing, there was controversy with Hindu and Muslim followers wishing to bury Guru Nanak in different forms. But, when the cloth was removed from Nanak’s body, hundreds of flowers were discovered; in this way, both groups were able to take flowers and remember Nanak in their own way.